In order to backup an entire hard drive, all you need to do is select the source disk and the target. If instead you wanted to clone a hard disk, you would select another disk as a target. Disk images can be mounted directly in Windows or accessed via BackupChain’s main screen. In addition, instantaneous recovery is possible by simply creating a new virtual machine and linking it to the disk image file/s created by BackupChain. You can then immediately boot up the VM directly from the image backup folder. Many users set up a backup server with VMware or Hyper-V and share out a folder where other servers place their disk images. A set of virtual machines is already prepared and linked to the disk image files, ready to go. If any of the production servers go down, a single click boots the VM directly in Hyper-V on the backup server. In order to be able to move your Windows installation and all applications to another disk or completely new hardware, you need to either clone the hard drive or run a full Windows system backup. Disk image backup can be used to create a full backup of a disk, sector-by-sector, with all of its contents that is stored as a single file. A system backup backs up the partition layout, boot sectors, relevant IDs, and hidden and encrypted disk areas as well. Traditional file backup tools do not cover these areas and are hence not suited for backing up entire operating systems. On the other hand, however, file backup software performs generally better than disk backup when backing up data disks. BackupChain offers disk to disk backup, also known as disk cloning, as well as disk image backup. Disk image backup creates an image file from the contents of your disk, which usually only holds the actual data on the disk. Free space is usually skipped; however, all other relevant information necessary for a full system backup is contained in the image file. BackupChain converts physical and remote disks, for example, iSCSI, to virtual disk formats that may be used to access disk data immediately. You can use virtual disks to boot the system as a virtual machine immediately without a restore operation. Virtual disks may be mounted and files and folders can be extracted selectively when necessary, without having to restore the entire disk. BackupChain supports 4KB sector and disks over 2 TB. The following formats are supported: VHD, VHDX, VDI, and VMDK. VHD and VHDX files can be booted in various virtualization platforms, such as Hyper-V. VMDK disk images can be booted VMware while VDI is the format used for VirtualBox. You can instantly boot from the virtual disk in one of your favorite virtual hosts: Hyper-V, VMware Workstation, ESX, or VMware Player, VirtualBox, and others. BackupChain applies versioning on disk image files so that it automatically deletes the oldest disk image when a new one is added. All disk images are immediately accessible from the backup folder. BackupChain prepares all services in Windows for live backup, such as SQL Server and Exchange Server. This signal ensures all application have the opportunity to bring their data structures into a consistent state before the backup snapshot is taken. In additional to taking full windows system images, you can also image data disks as well, which in some cases may be faster and more convenient than traditional file backup. Hardware RAID disk arrays appear to BackupChain usually as a single large disk. BackupChain can back up the RAID disk array and restore it into a single larger disk in the future if necessary. Just like backups of individual drives, RAID disk images can be mounted, accessed, booted from, and restored in the same fashion. BackupChain also supports taking drive image backups of Windows Software RAID arrays. 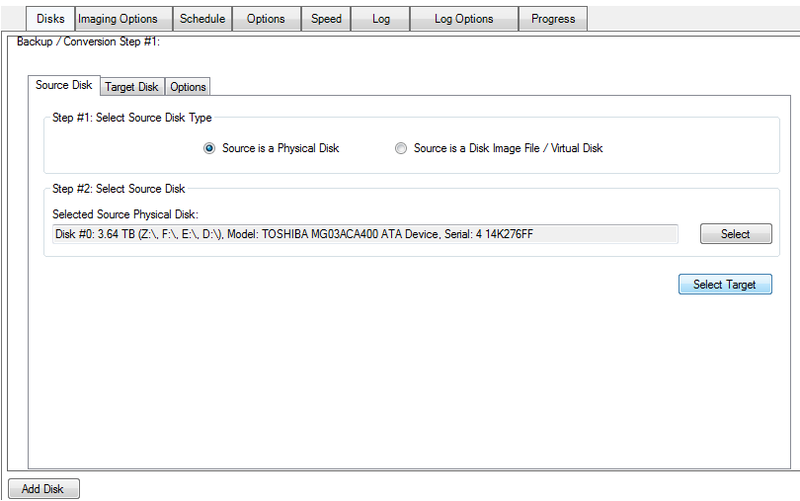 Groups of dynamic disk can be snapshot simultaneously and backed up into separate virtual disks. The virtual disks can in turn be mounted to another system or virtual machine, or copied back to physical disks at some future time. Application consistency is the “gold” standard of backups. Application consistency is achieved by BackupChain notifying all live backup capable services on your computer before a hard drive snapshot is taken. This ensures that all applications have a chance to write their data to disk in a consistent manner before the disk is read. Moreover, when the disk image is booted the services know how to continue work from the point they left off. The next best scenario is a crash-consistent backup, which is similar to recovering from a power loss event. The disk data is consistent in time, since no blocks were altered while the disk was read; however, the applications did not have a chance to write out their data structures. Most modern services are capable of repairing their disk data structures upon such an event by rolling back transactions. For example, Microsoft SQL Server, Exchange Server, and NTFS all use transactions to rollback interrupted operations without risking data corruption. Disk to disk backup may be also a good add-on to your backup strategy. While a disk image backup of an operating system disk is efficient and can be booted as a virtual machine, disk to disk backup allows immediate recovery in case of a disk failure. When you create a disk copy using BackupChain, the disk is immediately accessible when needed without additional steps. A simple reboot and change in the BIOS suffices to switch the boot process to use the cloned disk. Disk-based backup solutions are generally faster and cheaper than tape backups. Unlike file backups, the disk image created contains all the sectors needed to boot Windows in case of a total loss. In addition, the cost of backup disks is steadily decreasing, making disk drive backups much more feasible than other options in terms of cost per terabyte. 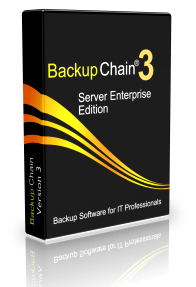 As an all-in-one PC and server backup software package, BackupChain offers much more than disk imaging, such as backup for Hyper-V VMs, backup for VMware VMs, SQL Server backup, VirtualBox backup, version backup, cloud backup, FTP backup, and much more. Above all, our goal is to give the IT professional a comprehensive backup solution that gives total control over data, how it’s being processed, and a reliable backup engine that tracks and verifies every single backup operation performed.